I love making my own embellishments and found that I could make some unique flowers out of pop cans. So pick your pop can(s) of choice. Mine just happen to be Pepsi cans. I made sure my cans were clean and dry. I used a X-Acto knife to make a hole in the side of each can. I used a pair of scissors to cut down the side of the cans…being VERY careful not to cut myself on the sharp edges as I went. I cut the top and the bottom of the cans off ... it will look like this. Discard the tops and bottoms of the cans. I carefully smoothed out the middle of the pop cans and placed them on top of a Sizzix flower die that I have. I then ran it through my Cuttlebug. The Cuttlebug cut through the metal pop can like butter. I then ran the die cut flowers through the Cuttlebug using an embossing folder. * Again use extreme caution ... the sharp metal cans will draw blood ... I know from experience. 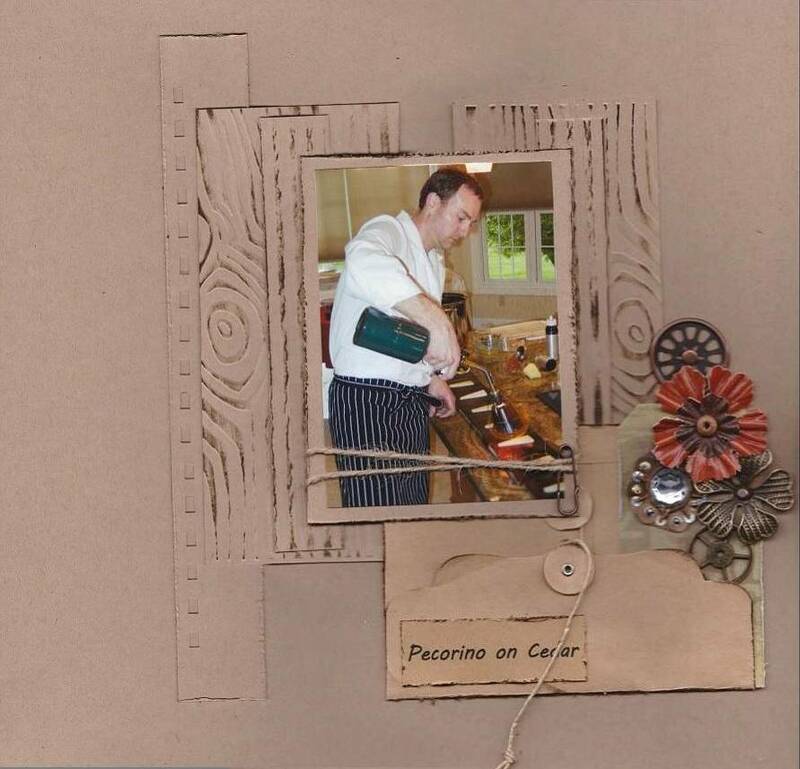 After die cutting the metal pop cans and embossing the flowers, the edges of the flowers are dulled and not as sharp. I decided to use my flowers on a layout. Sometimes when I'm scrapping a photo and going through my stash looking for just the right paper and embellishments I find I don't have a collection that compliments my photo(s). That's when I start looking at my basic supplies. 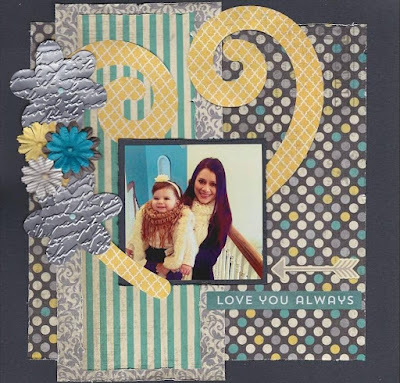 Believe it or not using only cardstock can take your project a long way and/or to a new level. I have a challenge up for the Creative Inspiration March Mini Crop - create a layout, card, tag, ATC or altered project and only use cardstock ... no patterned paper allowed. 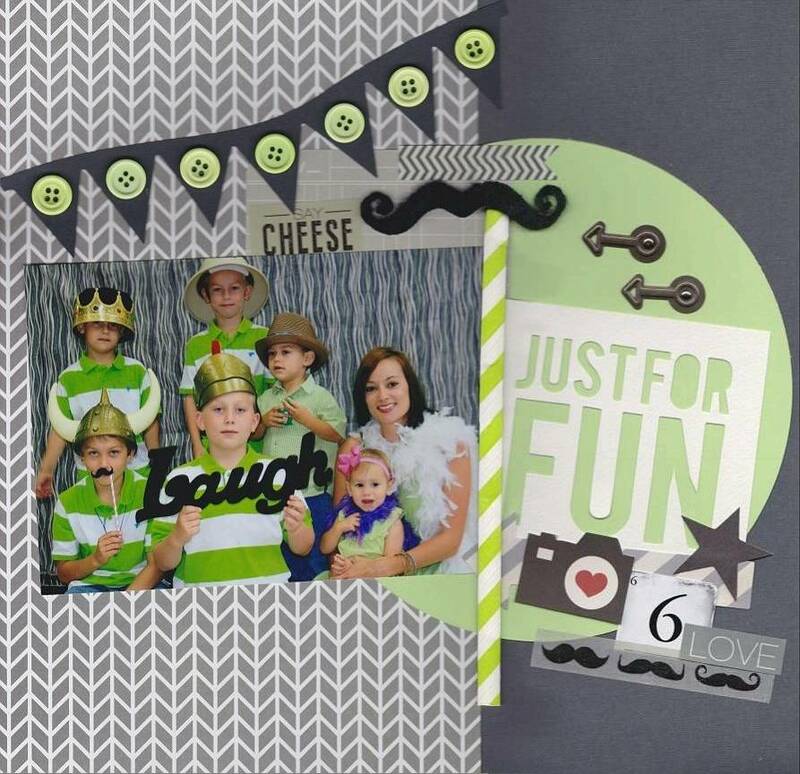 You can use embellishments of your choice. I created this layout for my son's album. I only used Kraft cardstock and a variety of embellishments. Be sure to check out the rest of the Design Team's Mini Crop challenges this month and be inspired. 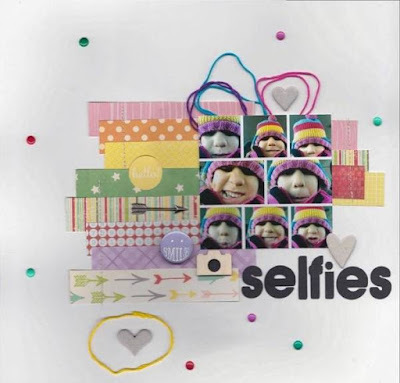 It's March 15th and time for the Mid Month DT Reveal at Off The Rails Scrapbooking. 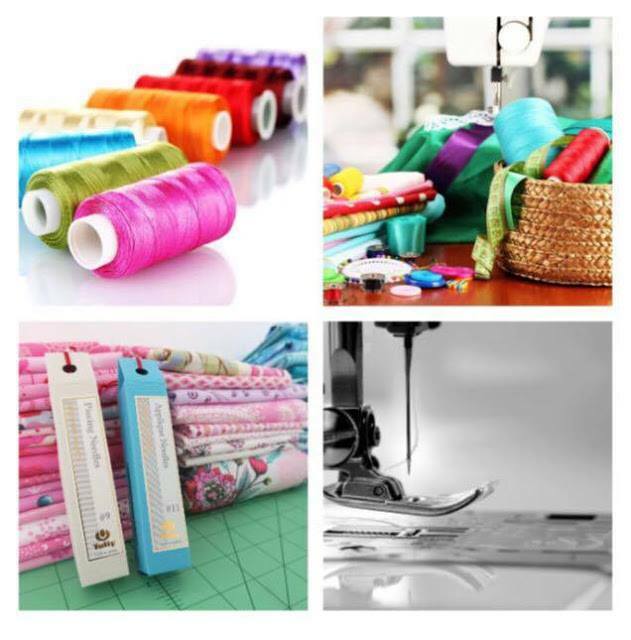 This month along with the mood board challenge you needed to add stitching to your project. I choose to use these sweet photos of Gracelynn from when she was in the car with her mom's phone taking selfies. I stitched the strips down along the outer sides. I'm slowly put surely using up some of my stash. I've had some of these goodies hoarded, I mean saved for years ... it's about time I used them. 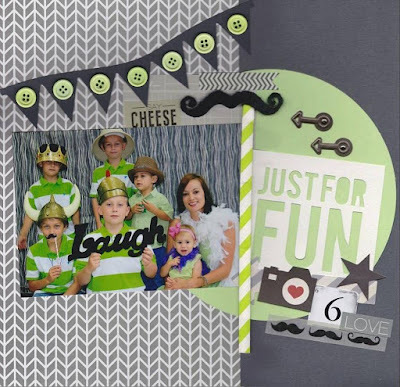 Be sure to check out the Off The Rails Scrapbooking blog to see what the rest of the Design Team came up with. You won't be disappointed! Today is the Creative Inspiration Design Team Sketch Reveal. Be sure to check out the forum to see what the rest of the design team did with this fun sketch. Again, all of the supplies I used to create this layout I found in my stash. Some of this "stuff" I have had for years. My goal this year is to use up as much of my stash as I can ... so I can buy new stash lol! 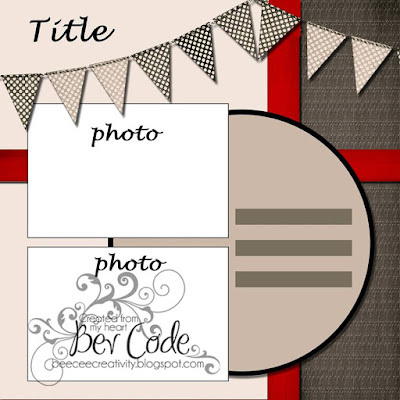 Today I'm sharing a Design Team card I created for the Just Imagine Crafts/Kreaxions Blog. I created this whimsical Easter card with patterned paper scraps and materials I had in my stash. I also used the Kreaxions Circle Cutter, the B Stencil, Positioning Parts 8cm (small) and punch #302. I embossed the doily and then cut it in half before attaching it to the card which made a great focal point for the bunny. After I created the doily I embossed it. I was a little leery about using white on white but I think the net effect is one of elegance.